As Floridians continue to grapple with the impact of Hurricane Irma and face the long road to full economic and personal recovery that lies ahead, we must work together to provide as much support as possible to those who experienced hardship and loss. Pasco, Pinellas and Hillsborough counties have all received the federal designation for individual assistance, and as such various federal agencies have been in our communities to provide assistance to those in need. I would encourage anyone impacted to apply for FEMA assistance at www.disasterassistance.gov. If you disagree with a FEMA decision on your claim, a written appeal can be filed. USDA is also providing a variety of programs for those who need assistance with food. As we unite to provide necessary assistance, it is also important to reflect upon our collective experience during this disaster. We all owe a debt of gratitude to the first responders, school employees who volunteered to staff shelters and emergency management officials. Lives were saved because of their commitment to public service. Utility workers throughout the country have also been working tirelessly throughout our state to restore power, and I am grateful for their efforts. However, the wide spread outages throughout the Tampa Bay area and the poor communication that existed between some providers and their customers indicate that there is significant opportunity for improvement. As a member of the Energy & Commerce Committee in the House of Representatives, I intend to follow-up on these concerns. 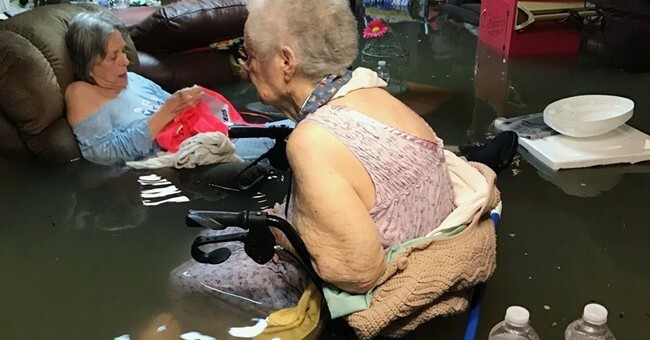 There is perhaps no greater opportunity for improvement than the handling of our most vulnerable populations, our seniors and the disabled, during this hurricane. The tragedies that occurred with seniors in south Florida and the troubling incidents of seniors suffering multiple days with no power in local facilities is inexcusable and must be addressed immediately, which is why I held a solution-oriented roundtable discussion with key stakeholders last week. It was a productive conversation focusing on root problems and practical solutions. We all agreed that the Governor’s recent Executive Order requiring back-up generators and new federal regulations which go into effect this November are a step in the right direction; however, there is more that can be done. The group made specific suggestions for policy improvement at the local, state and federal levels. A few of the most noteworthy recommendations include: requiring public safety and emergency management officials to be present when senior facilities simulate their emergency plans so that recommendations for improvement can be made, increasing accountability measures when senior facilities fail to follow their approved plans (for example, several facilities in mandatory evacuation zones refused to evacuate their patients during Irma), and ensuring that senior facilities receive the same priority for power restoration as hospitals. I look forward to working with my colleagues to implement strategies to keep our seniors and disabled safe during future disasters. Our country has suffered extreme hardship as a result of three major hurricanes in the past several weeks. You can be assured that the federal government will continue to provide the resources needed to ensure full recovery in Florida, Texas, Louisiana, Puerto Rico and the U.S. Virgin Islands. By supporting one another during this challenging time and learning from our experiences, we can come out of this situation stronger than ever.